Leaves no residue on the hair or the roots. For those who want to nourish their hair, styling it. For all hair types, whether curly or straight. For those seeking a wet look with no residue. To shape curls drying them naturally or with a diffuser to hold the hairstyle and soften the most frizzy and hard to tame curls. It is eliminated completely with a few brush strokes or with a shampoo. Its effect is strong so it should not be applied before drying with a hair dryer, unless you are looking for a VERY Strong and defined effect. Sculpting Gel Extra may be used in synergy with Light Drops for a gel with a softer fixative effect and extreme shine power. 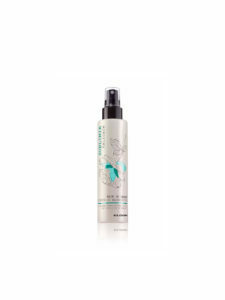 Colourless transparent gel enriched with several active ingredients that together perform functions that help the hair. – High fixing power polymers: the presence of these polymers gives the gel its characteristic strong hold.